The Geothermal Research Group at The National Renewable Energy Laboratory (NREL) is seeking a Modeling expert to build and strengthen reservoir engineering capabilities for potential application at the Frontier Observatory for Research in Geothermal Energy (FORGE). Work will consist primarily of advancing characterizations of reservoir stimulations and the resulting flow paths from injection wells to production wells. The successful applicant will work collaboratively with academia to advance numerical simulation functionality, including modeling of discrete natural fracture networks and injector-to-producer flow paths. 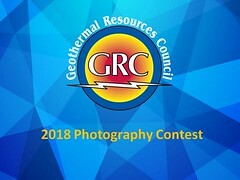 The position will be expected to publish relevant research outcomes in peer-reviewed scientific journals and to write proposals with partners from industry and academia to win funding opportunities and grow NREL’s Geothermal Research Group.